Davis will join the 4s if J.D. gets into a game (Ike, Tommy, Kane). 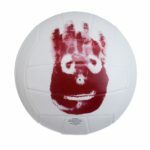 Mets.com has Wilson wearing 37! Not possible. Dilson Herrera – 2 – I guess Cecchini forfeited it? Rymer Liriano – 62 – a very popular number! Most of these numbers were worn by the players at some point in their careers, but 62 seems entirely random. To view these numbers, you have to go into the Mets 40-man and Non-Roster listings, and then click on the players name. They don’t show up on the listing, just on the individual player page. Will be interesting to see how valid these assignments are. I think the numbers on the new player pages are not very reliable. Ramos has already been assigned 40 & I think Broxton has been assigned 23. Yes, I saw the few listed (Broxton 62 and Wilson 37) and figured they were wrong, thanks for the updates! For whatever it’s worth, Wikipedia’s list of MLB rosters shows Vargas in #43. Actually that same Wiki page had Broxton in 23 last week & now has him listed with no #. Probably best we hold off a bit until something more reliable comes out. Quick tip: CBS seems to post the updated uniform numbers every year much earlier than all other websites. For the non-roster guys, you just have to search them by name, but they all have updated numbers too (with the exceptions Arquimedes Caminero and Tim Tebow for some reason). So just those two and the new coaches to figure out. Wilson and Mesoraco need confirmation, we’ll have to see on Caminero and Tebow, and then we still have the new coaches to figure out. Assuming Espinosa gets 25? Only number left really? mets.com caught up to CBS sports and has posted everyone’s numbers. Mets.com shows Caminero in 26, and confirmed Kieran’s speculation on Mesoraco in 29. Nice to see that Rivera and McNeil get real numbers. Yay! I guess seeing Dowdy in 33 means the Harvey number retirement is postponed indefinitely. Mets.com lists Jim Riggleman in #50, Chili Davis in #54, and Chuck Hernandez in #59. Not much left for new signee Danny Espinosa. Looks like 25, 85, 0 (if they want to be weird), or 17 (if they want to do that to Keith). Or, if they’re moving on from unofficially retired numbers, they could give him #8, which he’s worn with Washington and Tampa.